"The award-winning creators of New York Times bestsellers What Do You Do With an Idea and What do You Do With a Problem return with a story of a child who isn't sure what to make of a chance encounterthen discovers that when you get brave, take chances, and say yes to new experiences, amazing things can happen. "What do chances become? New friendships, exciting opportunities, and daring discoveries]] So, what will you do with your chance? Now that's up to you." 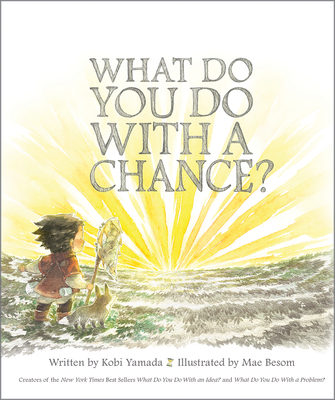 Written by New York Times best-selling author Kobi Yamada and beautifully illustrated by Mae Besom, What Do You Do With a Chance? is the story of a child who is visited by a chancebut because he isn't sure what to do with it, lets it go. Later on, when a new chance comes around he reaches for it, but this time he misses and falls. Now he is afraid. Will he be brave enough to take another chance when it comes around? The final addition to the award-winning What Do You Do With]]? picture book series, this book inspires kids of.